Do you remember Mitchell Moffit, the super talented guy who created (and sang the part of Link in) “Zelda: The Musical” on YouTube? 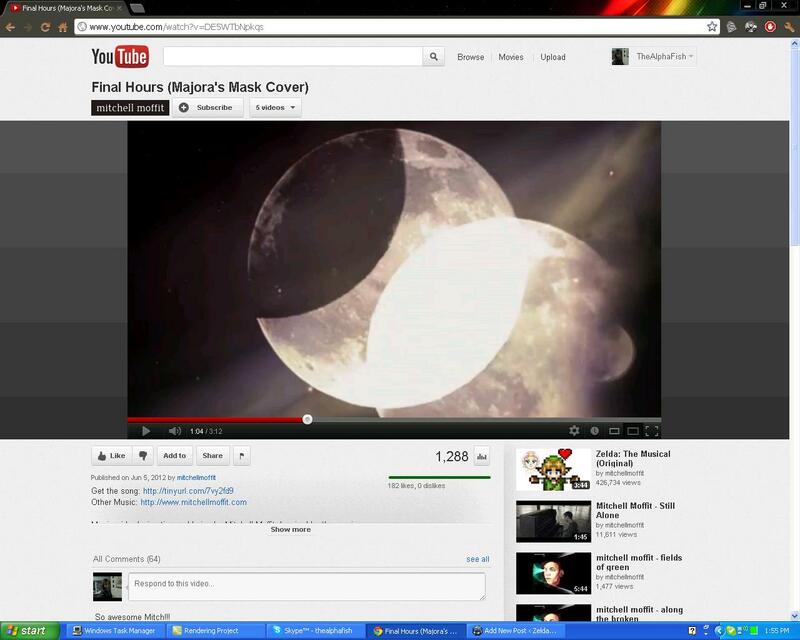 Well, he’s back with an all new Zelda song, a cover of the “Final Hour” from Majora’s Mask! He added lyrics and a completely different arrangement to the song, but kept it true to the mood of the original terrifying tune. The imagery in the video comes from a contest he held, and it is certainly impressive. Not only is it extremely artistic and striking, it conveys the mood of the piece quite well. Check it out after the jump! I loved the music video. The lyrics fit and the visuals hit the mood dead on. The doomed land of Termina really can depress a person. Tell us what you guys thought of his new song in the comments down below!